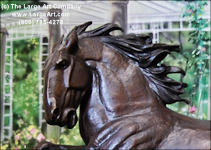 Our horse statues and horse sculptures are among the finest quality available anywhere. 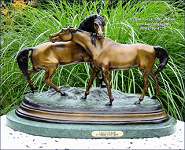 Each sculpture is hand-made of pure bronze. We have these made ourselves so you have choices about finish colors. 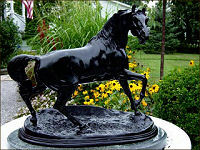 See the description of the horse sculpture or horse statue you are interested in for details. Free Shipping.